I’m very excited to be on the Write Romantics’ blog. Thank you so much for inviting me and for featuring my new novel ‘Perfect Weddings’ which I can now tell you, I never imagined would be finished. I’m overwhelmed by its success and how much people are enjoying it. It’s the first time I have had so many messages from people telling me this is my best book yet. I have to pinch myself sometimes when I remember how I almost gave up on this book. I developed that nightmarish thing that us writers despair of, named writers block. Nothing and I mean absolutely nothing seemed to come out of my head. I would sit at the laptop day in and day out, praying for something. I’d go for walks. I would sit and cry. I would demand of my cat Bendy, ‘why isn’t it happening?’ But he wasn’t much help. He either purred happily or fussed around me for more food. But it really did feel like it. What if I could never write comedy again? What would happen? That was it. I went into total meltdown. I spent a whole day feeling sorry for myself and fighting the impulse to throw the lap top out of the window and then an idea came to me. What if I wrote something else? A nice little romance, perhaps? Something sweet, warm and cosy for Christmas. I still had time. Christmas was a few months away. 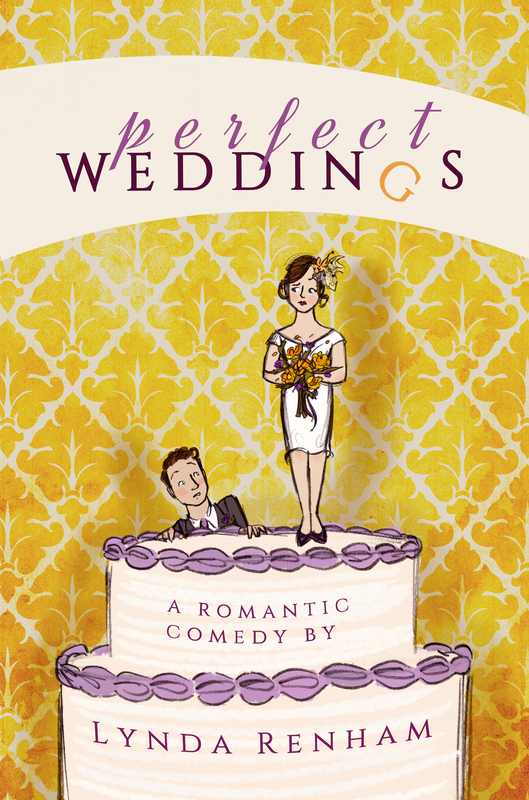 So, I put ‘Perfect Weddings’ to one side and wrote ‘A Christmas Romance.’ The words just flowed and I loved it. Before I knew it, the novel was finished. Then it was back to ‘Perfect Weddings’ and how that flowed too. I don’t know if there is an answer to writers block. Some authors say you should just keep writing and work through it. For me, taking a break, but still writing, worked. I do believe you should never stop writing when experiencing writers block. Even if you write rubbish, continue to write. Normally there is some gold dust to be found in that rubbish. 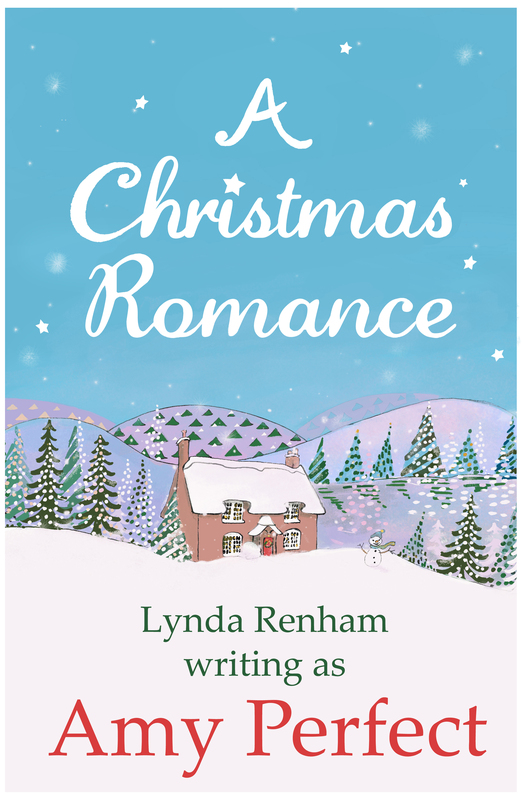 The great thing is ‘A Christmas Romance’ became the first in the series based around the village of ‘Little Perran’ and I’m working on the second one as we speak. So, here’s to writers block. Ursula Bloom was one of the most popular romance and historical fiction authors of the twentieth century. She wrote over 560 books, a feat which earned her a place in the Guinness Book of World Records for many years, as the world’s most prolific female writer. 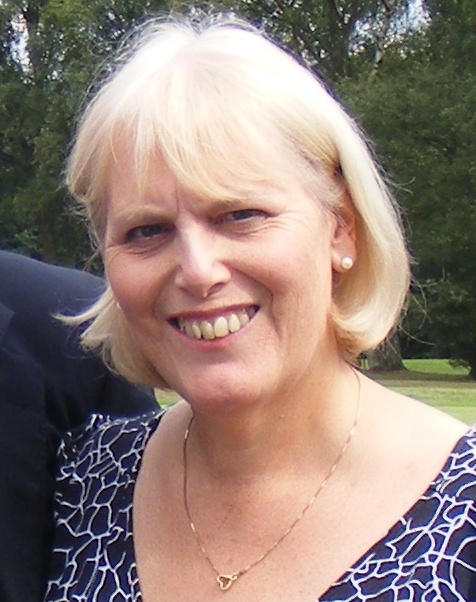 She also wrote under a series of pen names, including Sheila Burns and Lozania Prole. As well as novels and non-fiction, Ursula wrote short stories, radio and stage plays, and worked as a Fleet Street journalist. Her work is now being reissued, in ebook and paperback, by Corazon Books. The first of these, “Wonder Cruise: one woman’s romantic adventure of a lifetime”, is published today. The Write Romantics thank Ian Skillicorn of Corazon Books for letting us share this lovely piece of Ursula’s writing with our followers. We hope you enjoy it. Today too many people go to a party with the feeling that they are going to be bored; the result is that they are bored, and can you be surprised? The success of the party you are asked to, as far as you are concerned, depends very largely on the mood in which you approach it. If you don’t want it, then don’t go to it. Don’t feel that it is the hostess’s job to amuse you and arrive with that amuse-me-or-get-out expression. A few more like you will spoil any party. Don’t leave dressing for it so late that you have to rush it, get into a flap, which stays with you, and find yourself like that for the rest of the evening. I am polite enough to foster the idea ‒ by no means general ‒ that it is very kind of people to ask me to their parties and that I am grateful for their efforts on my behalf. I try to make myself as pleasant a guest as I can. Unlike the famous publisher at my house, who having upset the whole of a very large drink over my best table cloth and polished table stared at me in misery. I said ‒ I hope pleasantly ‒ ‘Don’t worry in the least, the table can easily be re-polished, it doesn’t matter,’ whereupon he replied, ‘Your table doesn’t worry me in the least, it is my trousers!’ He has never been asked again! There is a very great deal in arriving at a party in the right mood. If you go to it on the principle I-hate-the-Smiths-anyway-and-know-it’ll-be-awful-but-there-you-are, and if on the journey to the party your husband keeps up a running commentary of ‘Why-did-we-ever-start? You-know-what-I-think-of-the-Smiths. How-soon-can-we-leave-with-decency?’ none of you are going to enjoy it very much, you know. Say to yourself, ‘This is going to be a lovely party. I shall enjoy myself most enormously. This is my idea of fun,’ and after that you’ll be surprised at how much you’ll get out of it. If it is one of those dull parties where you just sit or stand around with nothing to do, then find yourself a task. It is always a great deal more fun if you are helping to hand things round; see what’s wanted, take upon yourself to be friendly, and have pity on the lonelies in the room. Never wait for introductions because like that you may find that you’ve got yourself stuck for the whole afternoon or evening. Speak to the lonely person who happens to be sitting dully there with no one to talk to, not knowing what to do. You’d be surprised how pleased people are to have someone to talk to, and many a highly satisfactory friendship is started this way. The point of the average party is to get people together, get them to know one another and waive introductions, and if you are a good guest, you will connive with your hostess on this and do your best for her. That of course is finesse! And if you are one of those unfortunate people who nurses a hunch that you hate parties and loathe the very thought of being included in them, then don’t waste your time repining, and cursing that you are ever asked to them. Give up the idea. Find your right niche. Stay at home in the realisation that the party spirit isn’t yours and therefore it is no good trying to catapult yourself out on the principle of I’ve-come-here-to-enjoy-myself-and-enjoy-myself-I-will! At the same time if this is the attitude that you are going to adopt, don’t do it with the idea of making a martyr of yourself, deploring the fact that you never get asked out and about any more, and inferring that you are a lonely little soul, somewhat neglected by your friends. As long as you will think only of yourself, you are going to limit your fun very sadly. Give it up. Cast an eye on the people around you, and get a little real fun out of them. Blackmail, Deception, Laughter, Love, and a lot of Sheep…It’s Publication Day! Today it’s finally publication day for my third full-length novel, This Other Eden. 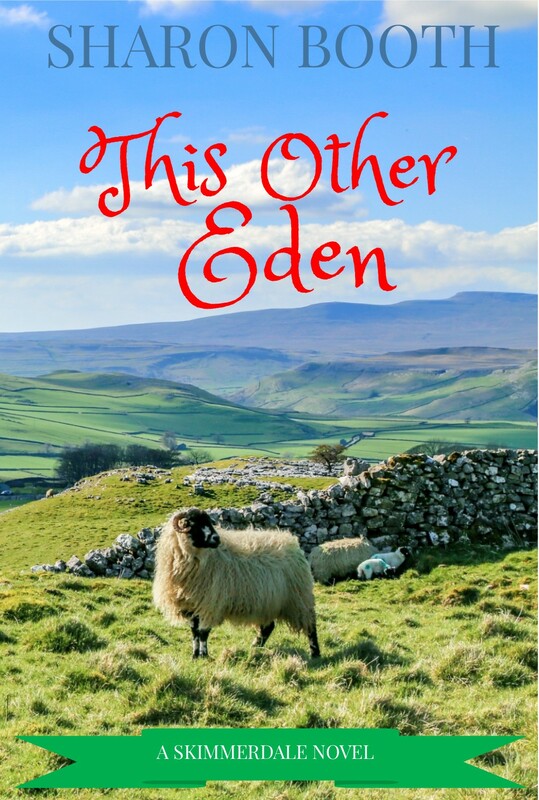 As you can probably tell from the cover, I’ve stayed in Yorkshire for this story, but I’ve moved inland, away from the coastal charms of Kearton Bay, to the beauty of the Yorkshire Dales, and specifically, to a fictional area called Skimmerdale. Skimmerdale is based on Swaledale, which is where my ancestors – the real Keartons – lived and worked for centuries. I really love the area, and wanted to set a novel there. When the idea for This Other Eden popped into my head, I knew I had the ideal location for it. I also knew I had the perfect look for the hero. 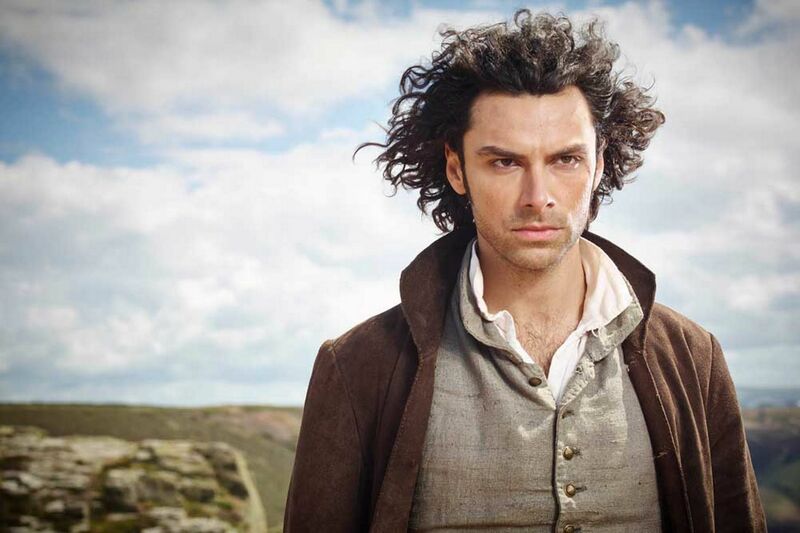 Hey, all those hours watching Poldark and Being Human weren’t wasted! Here’s the blurb. Eliot wants to care for his children, and to be left in peace to heal. When he gets an unexpected guest, he wonders if it’s time to start living again. But is this sheep farmer having the wool pulled over his eyes? This Other Eden is available to buy here. I’m hoping there will be another two Skimmerdale books to follow, but first, I have to get back to Kearton Bay. I have a young man waiting for his happy ending, and I’ve already kept him dangling a bit too long for his liking!